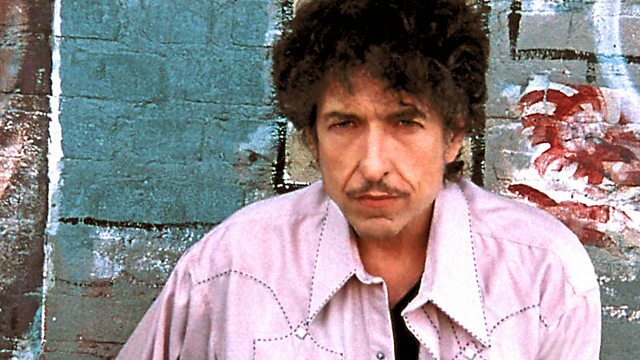 Bob Dylan returns to 6 Music with episode 101 of his acclaimed radio show - a 'lost' episode in which he plays music on the theme of the kiss. In 2006 Bob Dylan surprised everyone by not only becoming a radio DJ, but being really good at it. Over the next three years he recorded 100 episodes of Time Radio Hour, each of which was on a particular subject, ranging from Weather to Hair and Hello to Goodbye. The remarkable range of songs he chose revealed a great deal about his musical taste. He was a personable and friendly presenter, with a winning sense of humour, and yet he remained as enigmatic as any die-hard fan would hope. A 'lost' episode on the theme of the Kiss has come to light, and we are proud to present it, taking the total number of episodes broadcast on BBC Radio 6 Music to 101. Going Home: Theme Of The Local Hero / Smooching. Always Late (With Your Kisses) / Mom And Dad's Waltz. Los Años De Oro - Recuerdos De Cuba. The Original Carter Family From 1936 Radio Transcripts. Natural Soul Brother: The Frisco Recordings and More 1963-1968. The Best Of Huelyn Duvall. Music At The Time Of The Crusades. Harry Potter and the Order Of Phoenix OST. Blood & Chocolate Score (Original Motion Picture Score).